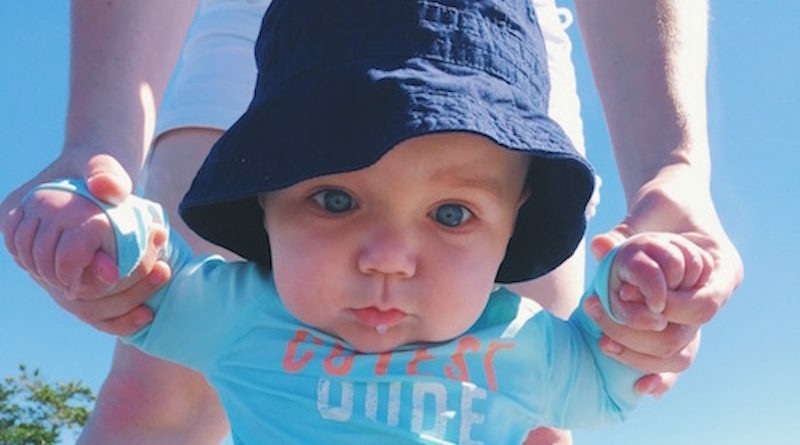 Say hello to Benjamin Michael Koske, this week’s Cutest Baby Photo Contest winner! Benjamin was due to be born on February 24th, 2016, but arrived arrived 10 days early on February 14, 2016 (that’s right, Valentine’s Day!) weighing 7 lbs and 11.6 oz. 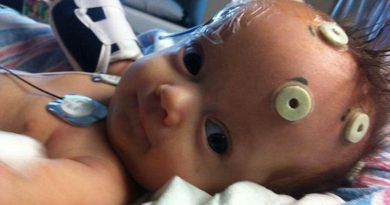 According to his mommy, Benjamin loves to talk, listen to music, and dance! He is currently very interested in his toes, and is a very curious baby. He is exclusively breastfed, and at 6 months old and he is already learning how to crawl and sit up! He loves walking and running in his walker, swimming and the beach. If he could he could, he would be a beach bum! “We are so proud of our little man, he is the best gift anyone could ever have,” his mommy said.